First time self-builder? Things to think about in the ground. Self-build is growing in popularity in the UK. But, if you are building for the first time, you may be apprehensive. When you bought your land, you may well have known its previous use and so may have already given some thought as to what this might mean for your ground conditions. For example, was it once a petrol station so has tanks buried within it, is it near an old mining area, or likely to be infilled land? If you don’t know, you can find out through Land Registry to give you insight into what to expect in the ground. Speaking to neighbours can also be really useful as they often tell you things that you would not find out formally. It’s also good to forge good relations with neighbours before the build. Obviously, knowing the soil type, ground condition and topography is critical so that your architect and structural engineer can design the correct foundations for your new house. Beyond the basic foundation choice (e.g. strip foundation, raft foundations, pads, etc.) your site survey results will have an impact beyond the basic engineering solution. For example, if you know you have a neighbour’s drain or major utility running through your site, you may want to accommodate this into a change of footprint so you leave it undisturbed, or will need to allow for the necessary approvals to build over it, near it, or into it. A word about trees too – always check if any have preservation orders before you remove them. If trees are large, you’ll need to think about the plan for removal and back-filling of the stump once ground down and take this into account in the design phase. The general consensus is that tree stumps are unwanted and unsightly on finished projects. As well as having an impact on the design, your soil must be tested to ensure you dispose of your material off site in accordance with the Environment Agency regulations controlling waste (your soil will be given a grading so when it’s taken off site, it gets taken to the right place – either a place for ‘contaminated’ soil, or suitable for landfill). If you are managing the build yourself and can get a grading on your soil, you can also sell your topsoil for more than the sub-soil. On some sites, you may also need to consider attenuation solutions. These hold ground water during a period of intense rainfall and then allow for it to be dispersed slowly into the watercourse or an existing drainage system – thus reducing the likelihood of flooding. 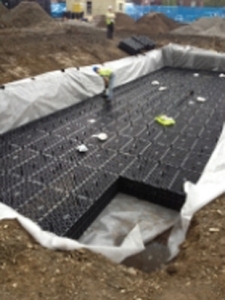 For some sites, for example, where the existing drainage infrastructure is already overwhelmed or in built up areas where surface water is not naturally able to disperse, these may be a necessity. You may also want to take into account solutions such as re-using water to run a grey water system that re-purposes your rainwater for toilet flushing. These need to be thought about as an integrated part of the drainage design. 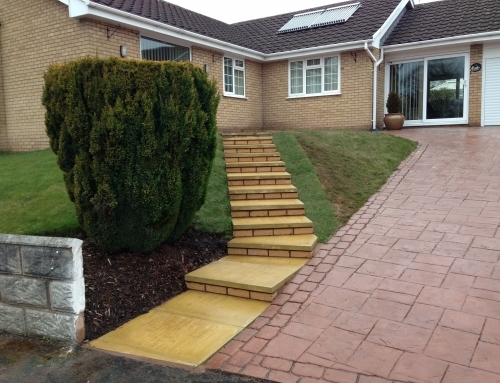 Using groundworks to add value and enhance your lifestyle. 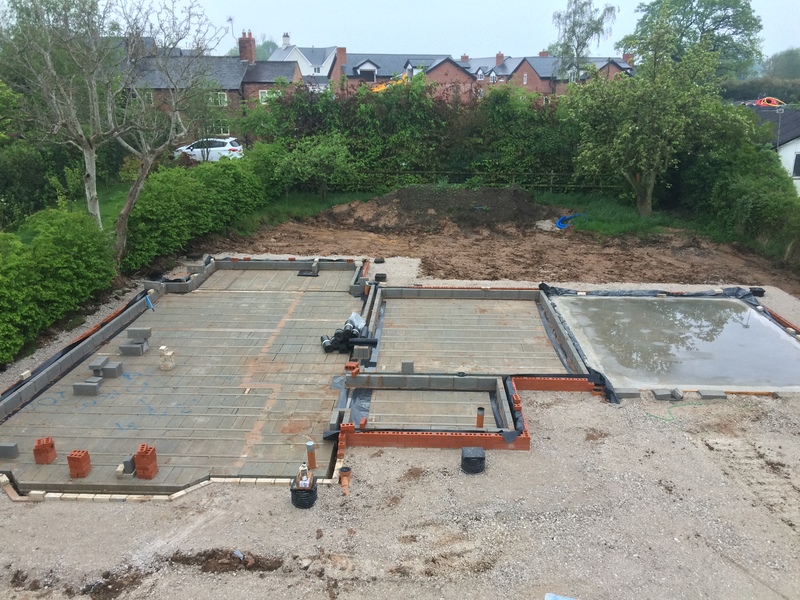 Aside from your foundations and drainage, it’s worth considering how early work in the ground can help you enhance your living space or add value to your finished property. We’ve created retaining walls for clients where the investment in the wall itself can give them really valuable space. Something they never regret once it’s finished. On a sloping site, a retaining wall can be the difference between having a patio or decking or a bigger garden. An extra parking space where there was once an overgrown hedge and scrub can make a big difference to a family. 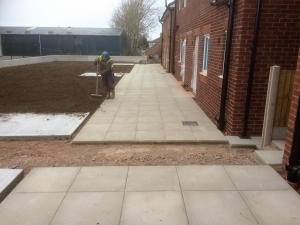 The external works (paving, parking, patios, garden & parking spaces) can make a big difference to your finished product and your lifestyle. It is worth asking yourself questions like: How much parking do I want? Do I want a full turning circle for cars? Do I want a gate and fences so that children are secure in the front garden? How much maintenance am I willing to do? If your driveway opens directly onto a road (e.g. with no pavement) it’s worth knowing that planners sometimes prefer hardscape (i.e. not gravel or shingle) as often the chippings make their way onto the road which is not ideal. Your new driveway – things to consider.